Dr. Meier added the latest in laser technology to her practice this year with the Harmony XL Pro Clear Lift and Dye VL treatments. Wrinkles, fine lines, sun spots, uneven skin tone and skin laxity are all part of aging and exposure to sun. 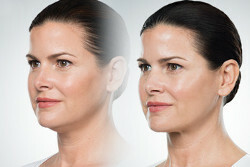 Revitalize your skin with the Clear Lift. The Clear Lift from Harmony XL Pro is one of the most popular treatments of the range of treatments available from this technology. People may refer to the Clear Lift by other names such as the “laser facelift” “collagen booster” and the “lunchtime procedure”. At Clear Sky Medical we specialize in minimally invasive treatments, and the Clear Lift fits in beautifully as our patients can enjoy a quick procedure that can fit into their lunchtime break. The Clear Lift is used in the areas of the neck, face and decollete. This is becoming the treatment of choice for pigment and vascular lesions. Ask Dr. Meier if Dye VL is right for your skin. 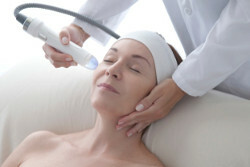 Dye VL is an alternative for Dye Laser treatment. The technology is based on Alma’s proprietary Advanced Fluorescence Technology (AFT).